If you are lucky enough to have a quince tree in your garden (or know someone who does) it is worth making the effort to use them. And it is quite an effort as they are difficult to peel and core and need to be cooked. The variety of quince that I have is apple-shaped, quick to cook and turns to puree easily. It doesn’t seem to turn the rosy pink that typifies quince, or maybe I just should have left them for longer to ripen. 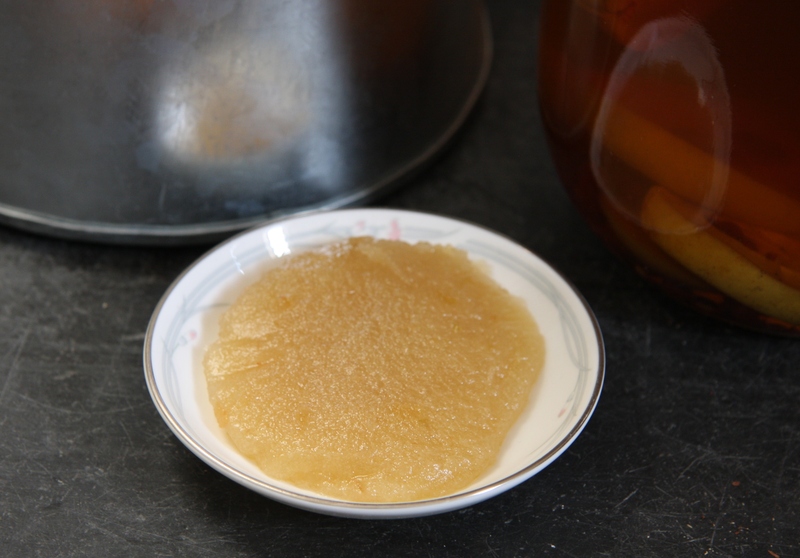 I have always wanted to make membrillo, a quince paste that is typically eaten in Spain with manchego cheese, and I found a recipe that made quince jelly with the juice and quince paste with the pulp: two for one. And the quince brandy recipe my friend Kate sent me was appealing not just because it sounds like it could be as good as sloe gin or blackberry vodka, but also because no peeling or coring was required – you just slice up some quinces, add brandy and sugar and leave for around three months. 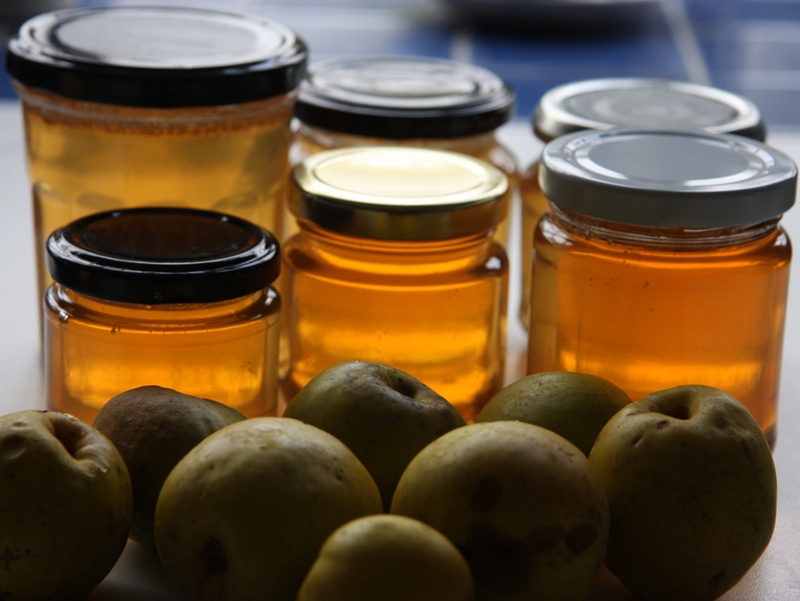 The jelly is a beautiful colour and has a tart, perfumed taste and would make a great gift. Fruit jellies are very easy to make and the pulp from the fruit would normally be thrown away. In this case the pulp is used to make the paste, and although my paste is not completely set even though I have now cooked it twice, it still tastes great and will be delicious with cheese. I don’t know if it’s because of the variety of quince I am using, if I should have used jam sugar as some recipes suggest, or if I should have put it in the oven to finish drying out as some recipes suggest. You will need lemon and sugar: the amount of sugar you need will depend on the amount of juice and pulp you end up with. Peel, core and chop your quinces and place them in a large pan with the juice and zest of a lemon and enough water to cover them. Bring to the boil and then simmer until soft and pulpy. Do not try to press the juice through as this will make the jelly cloudy. 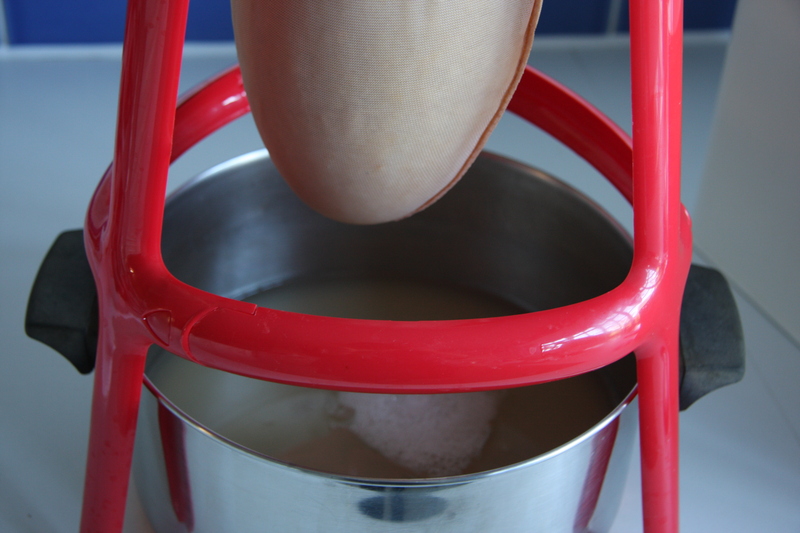 To make the jelly: measure the amount of juice you have: you need 75g sugar per 100ml juice. Put the juice into a large pan and bring to the boil. Add the sugar and stir until completely dissolved. Boil until the setting stage is reached: spoon some onto a cold saucer, allow to cool briefly and then try pushing it: if it wrinkles it is ready. Remove any scum, pour into sterilised jars and seal. 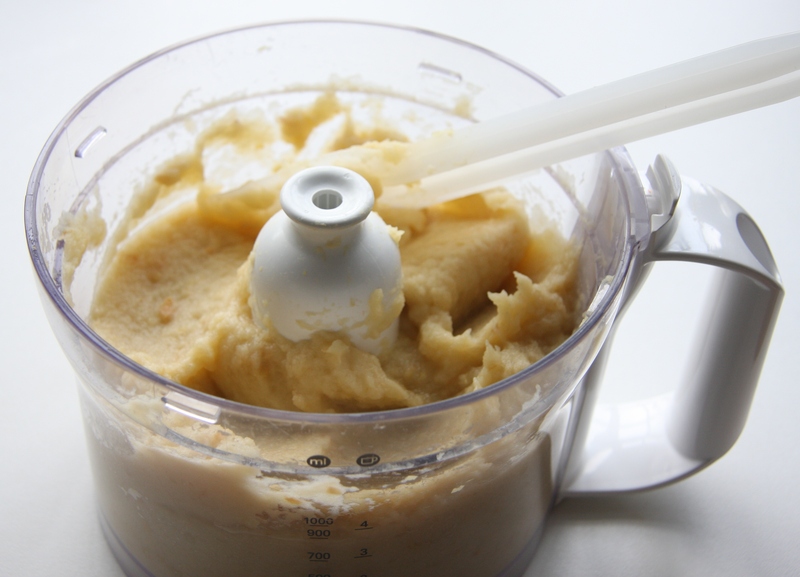 To make the paste: Weigh your pulp: you need 75g sugar per 100g paste. Line a baking tin or tray with baking parchment. 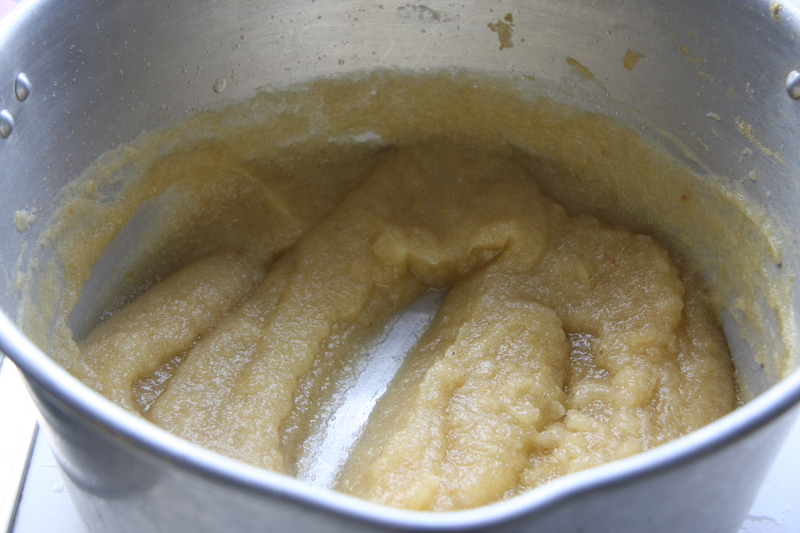 Put the pulp and sugar into a large pan and heat gently to dissolve the sugar. Tip into the prepared tin and smooth the top. Refrigerate overnight and it should be firmly set. Wrap in fresh baking parchment and foil and keep in the fridge. It should keep for around 6 weeks. 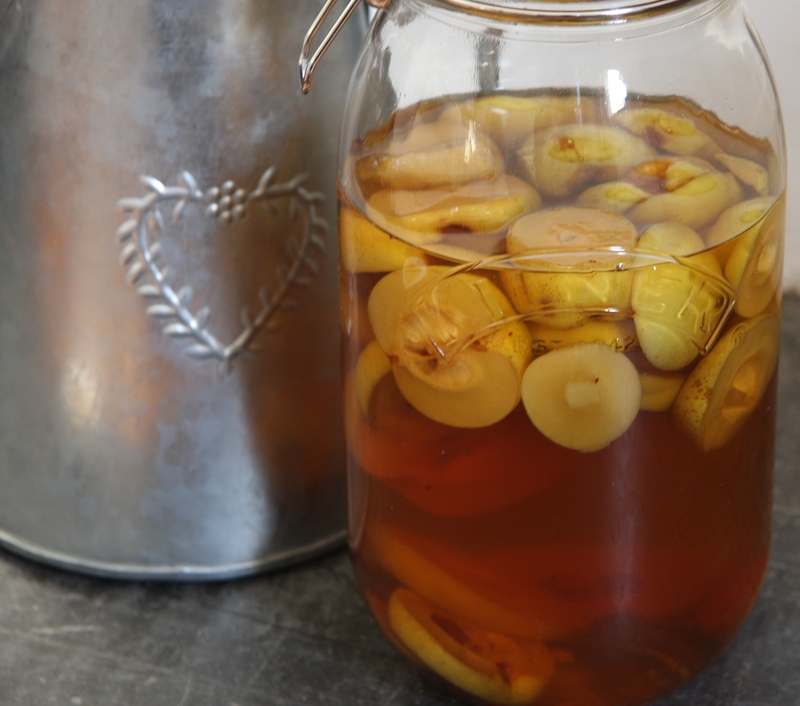 Put the quinces into a 2 litre Kilner jar. Leave for around 3 months, shaking occasionally to dissolve the sugar. 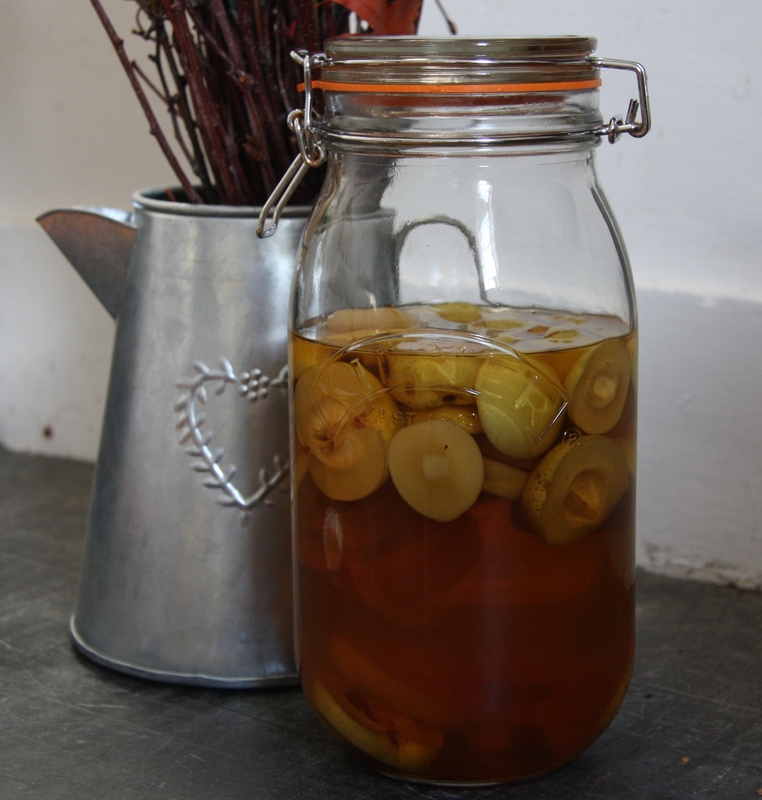 Three ways to preserve something of the autumn! I make all of the above with the quinces from my tree. Such a delicious and aromatic fruit. Your quinces look like Japanese quinces – round and not pear shaped. Do they grow on a tree or bush? When I looked them up it looked like they were most likely called Serbian Gold and I actually thought they were apples to start with. I think they are growing on a bush but not sure what the official difference between a tree and a bush would be! 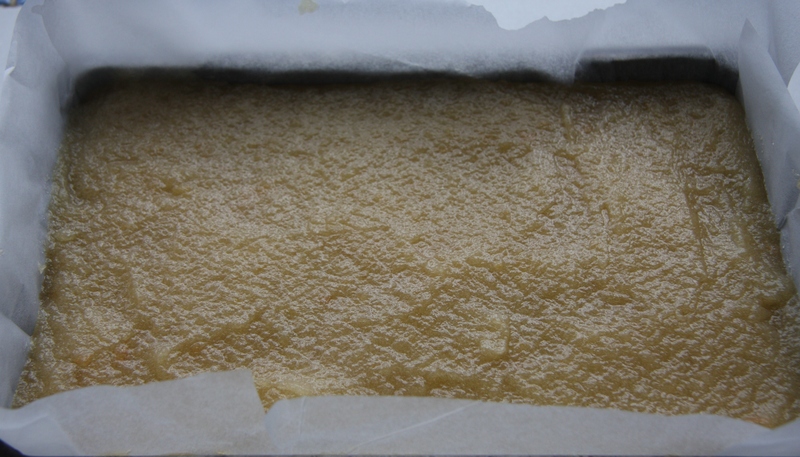 I’m hoping my membrillo will be more successful next year: would love any tips! Thanks very much for your comments.